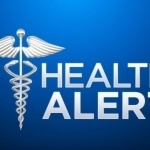 The Rockland County Health Department in the State of New York has notified schools that students who are not vaccinated for measles cannot attend school for 21 days, due to a “measles outbreak” where 33 cases have allegedly been confirmed in the county. This directive includes those who have legal vaccine exemptions for either medical or religious reasons. 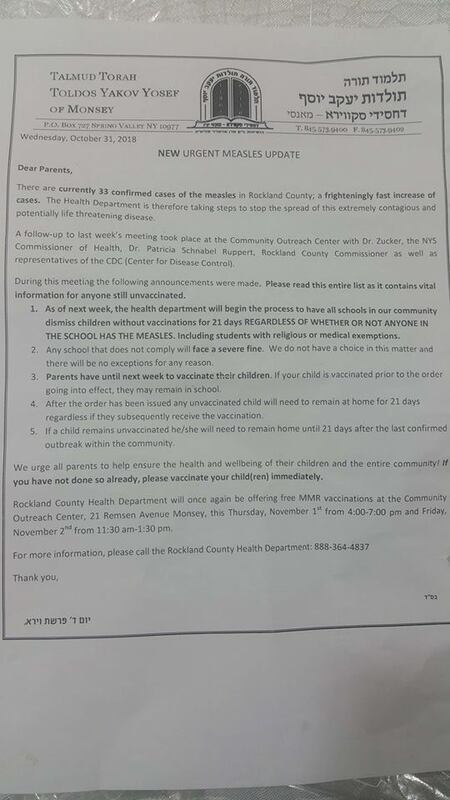 Parents and members of the community are, of course, outraged at this tyrannical action being conducted by the Health Department, which is run by unelected medical professionals and administers “free” MMR vaccines purchased by the CDC (with U.S. taxpayer funds). 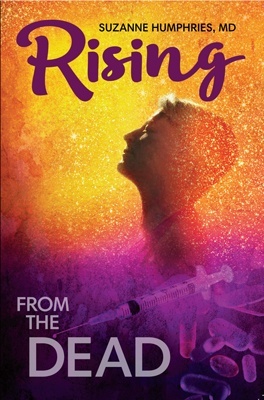 When these “outbreaks” of measles occur, and action is taken to target those who are not vaccinated, many facts are left out in educating the public regarding the truth about measles and the measles vaccine. So here are the facts about measles and the measles vaccine, all of which are easily verified by anyone with an Internet connection. 1. There is NO measles vaccine. The only vaccine available for the measles is a 3-combo vaccine, MMR, which includes vaccines for mumps, measles, and rubella. To get vaccinated for the measles, one must also be vaccinated for the mumps and for rubella. In spite of the fact that U.S. law prohibits any U.S. citizen from suing a drug manufacturer for damages caused by vaccines, Merck is facing at least two lawsuits in court right now regarding the development and approval of two of their vaccines. “As the largest single purchaser of childhood vaccines (accounting for more than 50 percent of all vaccine purchases), the United States is by far the largest financial victim of Merck’s fraud,” according to the 2010 False Claims Act complaint. 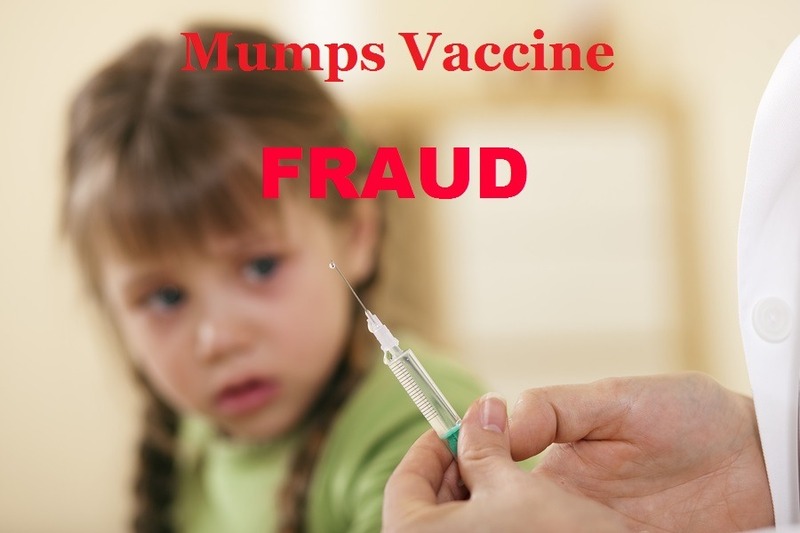 “But the ultimate victims here are the millions of children who every year are being injected with a mumps vaccine that is not providing them with an adequate level of protection. Merck has tried, unsuccessfully, to end this case for almost eight years now, in an attempt to hide it from the American public. 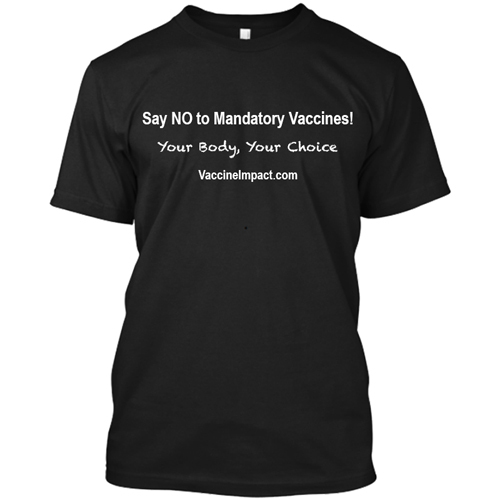 The other lawsuit currently being litigated against Merck is for the Gardasil vaccine. 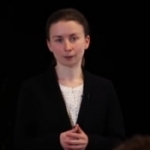 The family of a 16-year-old girl, Jennifer Robi, who was injured by the Gardasil vaccine and awarded $38,365.08 in damages by the U.S. Vaccine Court for Postural orthostatic tachycardia syndrome (POTS), filed a lawsuit on July 27, 2016, against Merck in the Superior Court of The State of California, Los Angeles County. 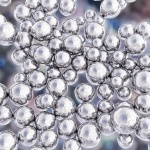 While there has been controversy for years regarding the allegation that the MMR vaccine causes autism, there is no doubt that many have linked the vaccine to causing autism. Since the passage of the National Childhood Vaccine Injury Act in 1986, which basically gave legal immunity to pharmaceutical companies for any injuries caused by vaccines, any injuries due to vaccines have to be litigated in the U.S. 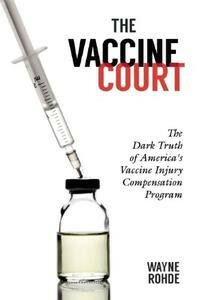 Vaccine Court, called the National Vaccine Injury Compensation Program (NVICP). The Vaccine Court is funded by a tax assessed to the sale of vaccines. There was one big problem in the early days of the NVICP: too many people were filing claims for autism, mainly for the MMR vaccine. 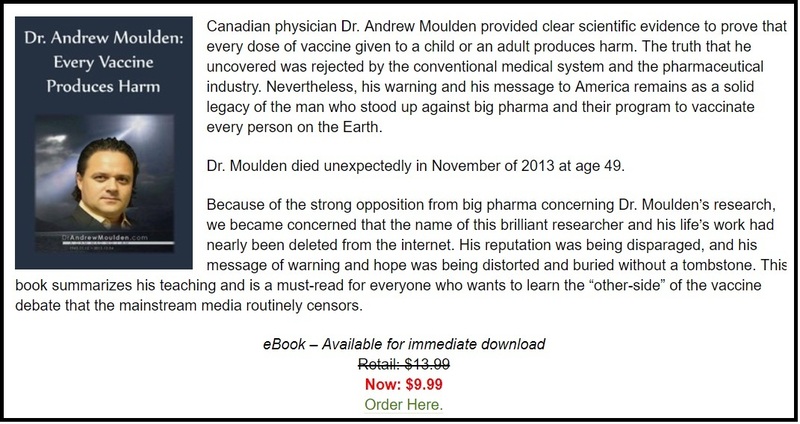 In what was called the Omnibus Autism Proceedings, the U.S. Government chose their own “Special Masters” to try a few of these cases that were allegedly representative of all the autism MMR claims, and determined that the MMR vaccine does not cause autism. As a result, one cannot sue for autism damages due to vaccines. Fraud Uncovered in U.S. Government’s Claim that Vaccines do not Cause Autism – Will Congress and DOJ Act? In addition to the alleged fraud with the Omnibus proceedings, the U.S. funded research supposedly showing that the MMR vaccine does not cause autism has also been revealed as fraudulent. In 2014, Dr. William Thompson, a CDC scientist that was a co-author on a previous study alleging that the MMR vaccine did not cause autism, became a whistleblower and revealed that key data linking the vaccine to autism among certain segments of the population (African American boys) was omitted. The fact that more people die from the MMR vaccine in the U.S. than measles is a fact the corporate media does not want you to know. 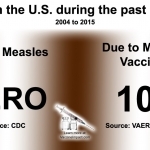 What we found in 2015 was that the CDC was reporting that there had not been a single death due to measles in the United States since 2003, but at least 108 people, and probably a lot more, had died from the measles vaccine. 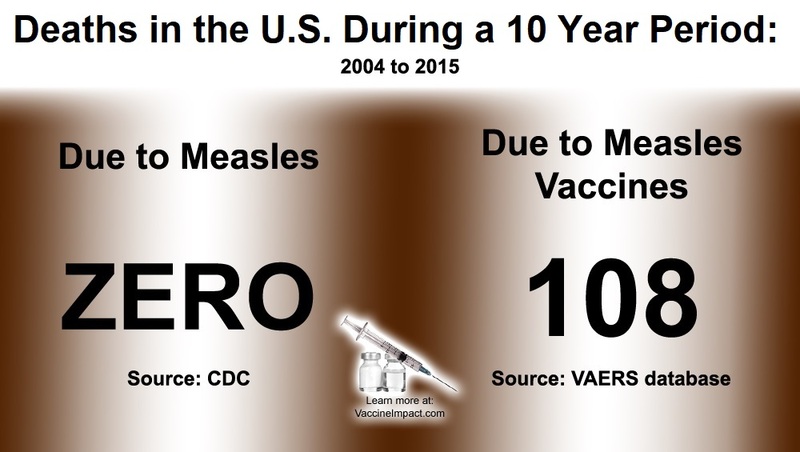 There are many other facts about measles and the MMR vaccine that you will not likely here in the corporate media or from your doctor. For example, the MMR vaccine does not confer lifelong immunity, and during these “outbreaks” it is always discovered that many of the people contacting measles have actually been vaccinated against it already. However, if someone contracts measles, it usually offers life-time immunity. Also, the belief that the measles vaccine wiped out the disease is a myth. 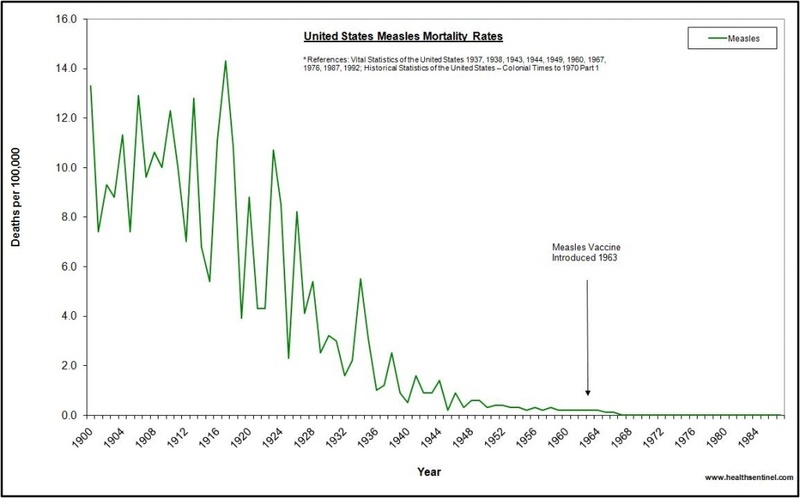 Measles was already rapidly declining long before the vaccine was introduced. 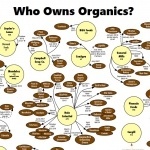 Local Health Departments Out of Control? When laws are enacted regarding vaccines, the legislative process generally allows for debate and for both sides to voice their opinions regarding vaccination policy. However, most local health departments are run by bureaucrats from the medical industry who are not elected officials, and they have far too much power to implement policies that could have the potential to affect the lives of so many people. Their actions potentially also violate state laws and the U.S. Constitution’s protection of civil rights. This appears to be the case currently in Rockland County, New York. 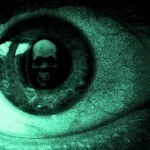 Comment on this article at VaccineImpact.com.